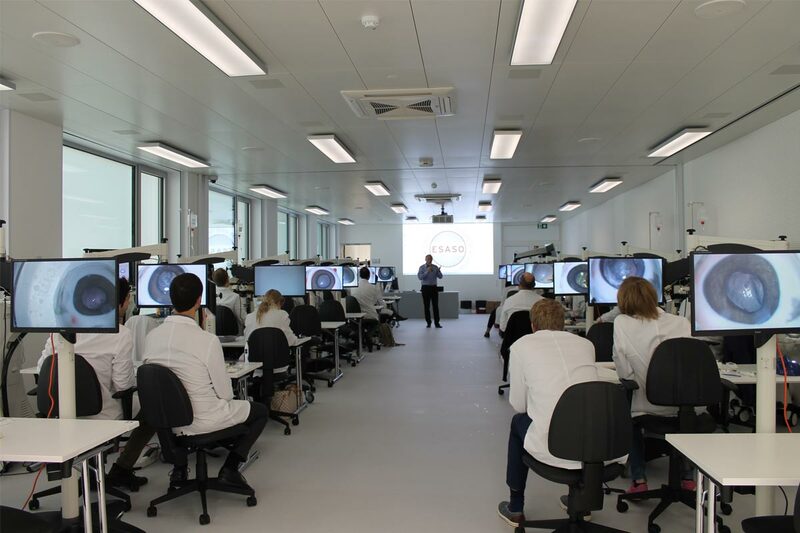 The ESASO Training Centre (ETC) in Lugano is an innovative lab and a first-rate institution for advanced ophthalmologic education. 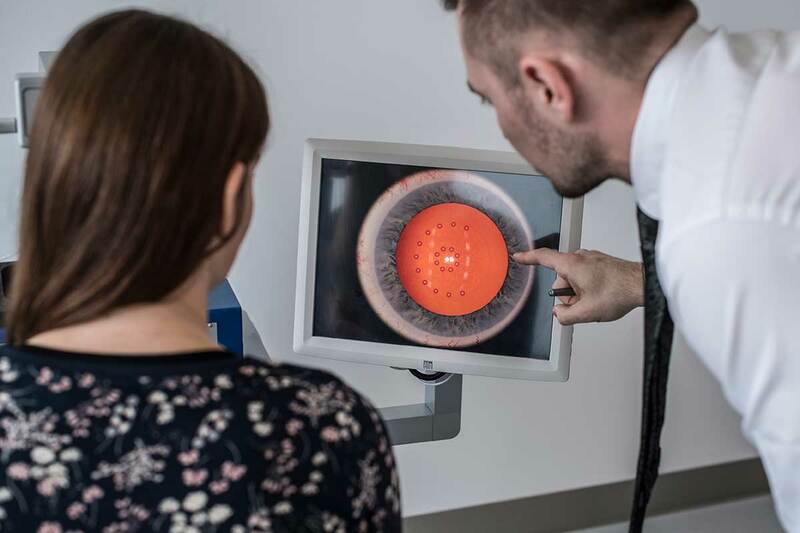 The ETC 400 sqm space offers excellent equipment with plenty of opportunities for didactic training and hands-on education of ophthalmologists, where they can teach and learn from each other. Where we are: the ETC is on the third floor of the Regional Hospital in Lugano (Ospedale Regionale di Lugano, Italiano). Equipped with cutting-edge technological devices (98 inch professional interactive display 4k; audio and video system; computer with blu-ray reader; audio and video recording possibility). Specifically built to host ophthalmology courses, it can also be adapted to a wide range of situations and needs. It contains up to 20 stations for practical exercises with pig eyes and/or synthetic eyes; laser projector full HD 10’000 a.lumen; audio and video system; computer with blu-ray reader; audio and video recording possibility. It has been a long journey from ESASO’s first thought in the year 2012 to the realization of the new training centre, which is conceived as the central home and main campus of its educational programme. 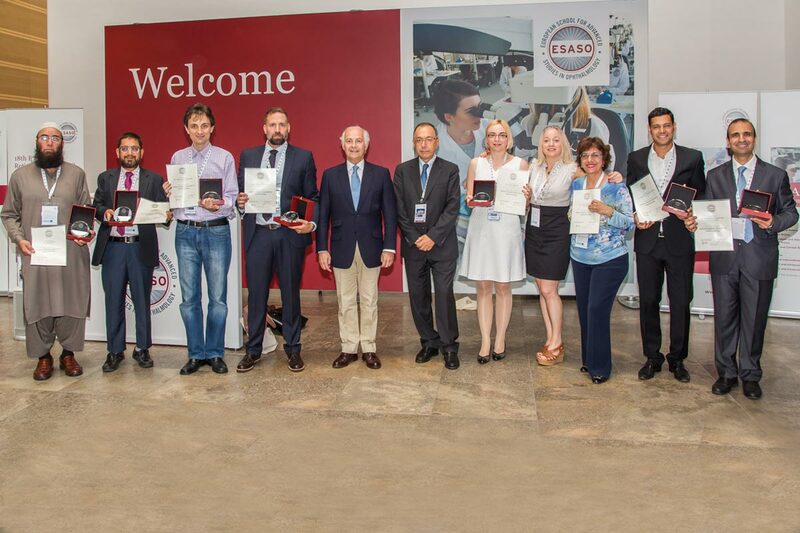 Since 2009 until September 2016 ESASO trained its participants at the university campus of the Università della Svizzera italiana (USI), building a strong partnership with the institution. The collaboration between ESASO and USI will continue in the future and some of the training courses offered by ESASO will be hosted by USI campus. 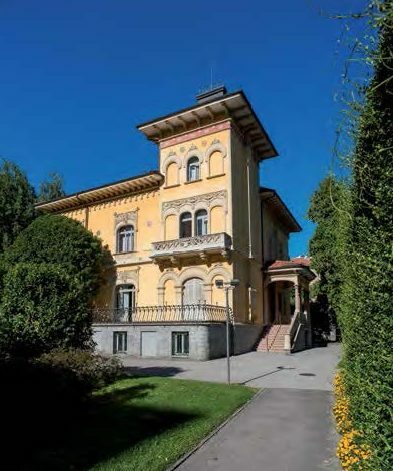 Lugano head office is located in beautiful Villa Saroli, an ancient villa in the heart of Lugano, surrounded by a wonderful park, where visitors can enjoy peculiar trees and flowers. An important banking centre, Lugano is a vivacious city, with posh designer boutiques, bars and pavement cafes. The lake, with its flowery promenade, is probably its most known asset, but the recent opening of its LAC arts centre has strengthened its cultural features, too. The name of the city is derived from the Latin common name lucus meaning “sacred wood” or simply wood: its ancient origin is therefore linked to the designation of a settlement apparently characterised by its proximity to a wood. The meaning of the four letters LUGA appearing on the City’s coat of arms has given birth to the most bizarre hypotheses. Some examples of the coat of arms can be found in San Lorenzo Cathedral, where the coat of arms is carved on a holy water stoup and on two bells. On the facade of Lugano’s Civic Building the planner, the architect Moraglia, added the City’s coat of arms to the decoration by substituting the red background with the bipartite red and blue: the colours of the Canton. The history of the urban development of the city of Lugano can be subdivided into four phases. The medieval form lasted until the end of the Eighteenth century. After the shift from the old to the new regime (1798-1847), the social scene changed, and the city expanded beyond the traditional urban circle of walls limited by the gates which were pulled down. There was a change from the old form of the fortified borough to the open form of the modern city. From 1880 to 1910 the city experienced, especially after the opening of Gotthard’s railway line, an exceptional demographic increase. During those thirty years the population growth was almost 8000 inhabitants, going from 6949 to 14998 units. The success of the hotel industry brought to Lugano a rich and cultivated bourgeoisie, especially from Germany and England. Tourism experienced difficult moments during the crisis of the thirties and during the two World Wars but has subsequently managed to adapt to the new reality and acquire a leading position as one of the most important and dynamic industries of the City. The financial sector has continued to expand even after the creation of the Euro and nowadays all the main Swiss and international banks that are involved in private banking operate in Lugano. Tourism, finance and trade are therefore the leading sectors of the City’s economy, which, as a whole, guarantee more than 27000 jobs. 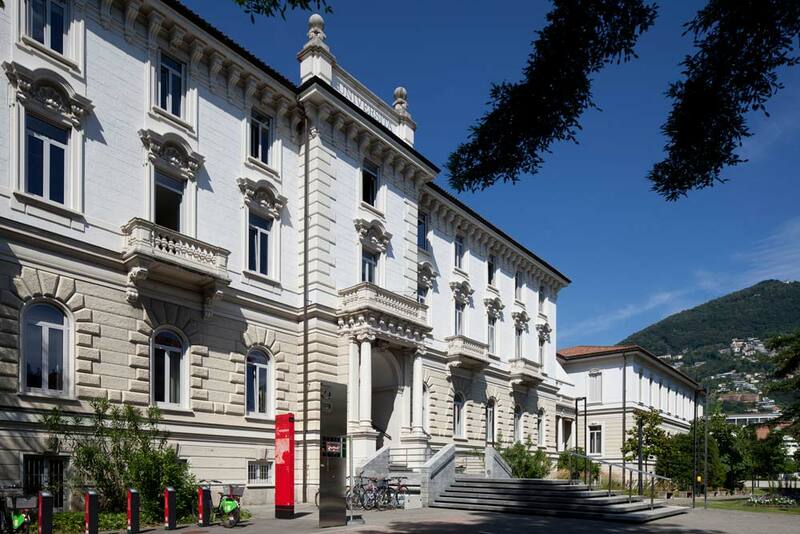 In the field of higher education training, mention must be made of the birth of the Università della Svizzera italiana with the three Faculties of Communication Sciences, Economics and Informatics based in Lugano. Lugano airport is in Agno (about 6 km from Lugano city centre). It offers direct flights to the main Swiss and European towns (www.lugano-airport.ch). Airports Milano Malpensa MXP, Milano Linate LIN and Bergamo BGY are 60-100 km from Lugano. Shuttle bus from Malpensa: www.malpensaexpress.ch or www.luganoservices.ch. Transfer from Linate and Bergamo: www.sea-aeroportimilano.it/en or www.trenitalia.com. The closest Swiss international airport is Zürich-Kloten, about 3 hours by train from Lugano (www.sbb.ch). Lugano can also be reached by train (www.sbb.ch).